At GRUBS® our mission is to identify and bring to market products that make outdoor sports more enjoyable. Our tradition guides us in our mission to provide you with the best gear available. We stand out by being an innovator of products that represent new levels of comfort and practicality. 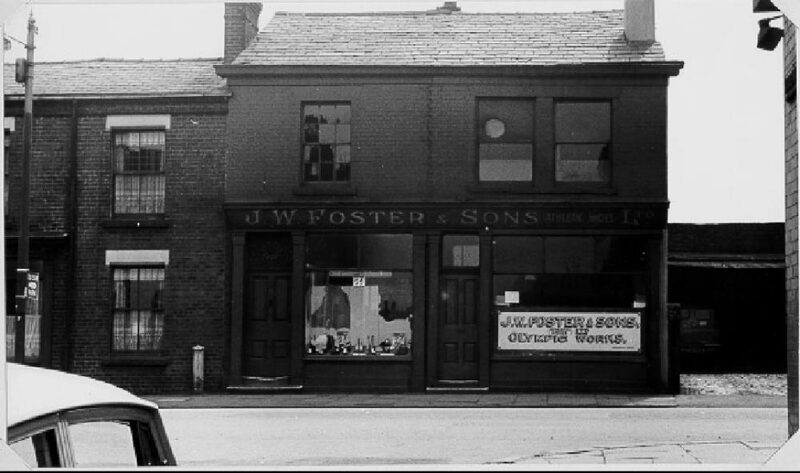 We are connected to our history and its timeless traditions, but our focus is on making products that will endure into the future. To keep us on the cutting edge we create revolutionary designs that make our competition obsolete. We continue to go beyond the expected to create the most functional, yet elegant products available, so that they become the benchmark by which others are measured. 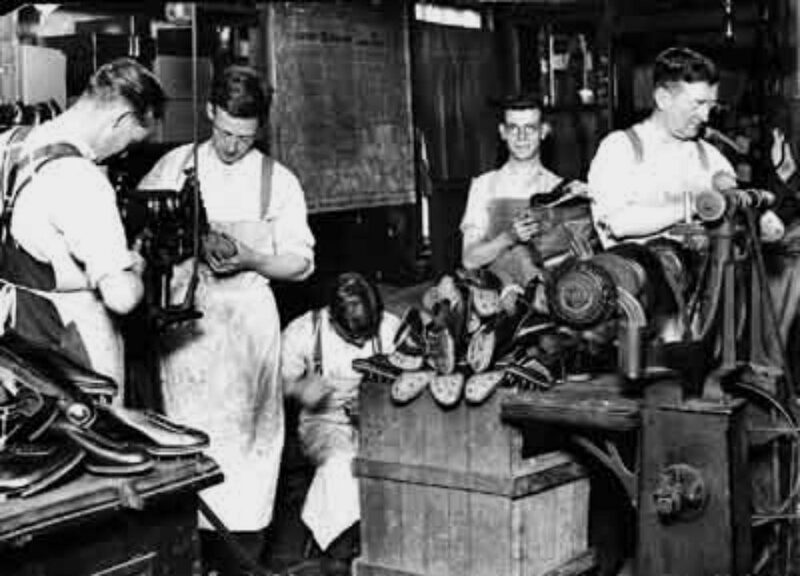 Eight generations of our family have been crafting the finest sports footwear since 1776. 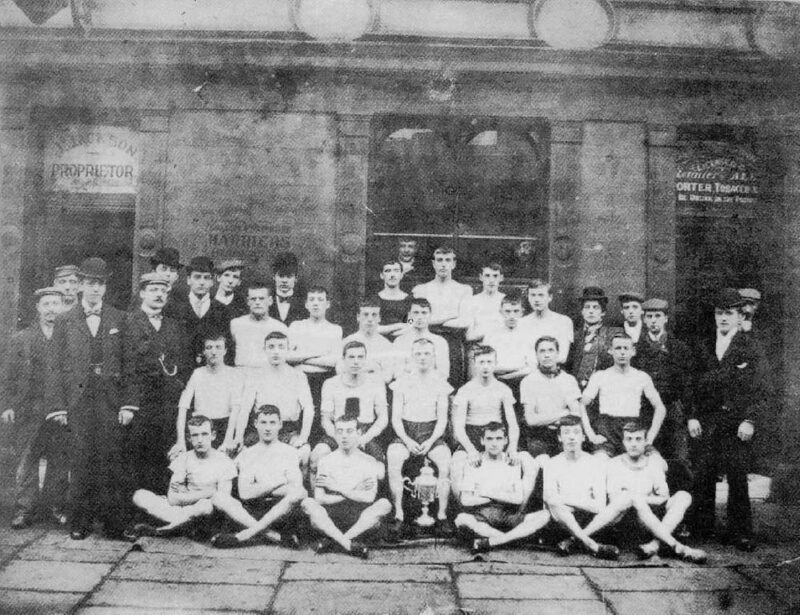 Joe Foster, my Great Grandfather, was a founding member of AAA, hand making shoes for the Olympic stars of 1924; Harold Abrams and Eric Liddell, featured in ‘Chariots of Fire’. My Father and Uncle founded Reebok in 1960 and I was part of the team that created the iconic aerobic and fitness shoes that the company is renowned for. My wife, Jan and I created the neoprene revolution in sports and agricultural boots back in 2000. At Grubs® our tradition guides us to provide you with the most comfortable performance footwear available today. Scroll through our gallery timeline below to get a flavour of the Grubs® history! Our team are all active field sportsmen our fishermen, so we know what works and more importantly what doesn’t in the field and stream. Backing this up we have a group of professional guides and gillies that wear our gear all day every day. What is the most important feature GRUBS® gives them: COMFORT. Ingrid is a two time Gold and individual silver Olympic medal winner, two time world and multiple European and German Champion Eventer. North Yorkshire based James has been steadily moving up the ranks thanks to his strong stable of horses and is set to break into the top flight of Eventing this season with his first Badmington in 2017.A strong member of our Equestrian products team James has helped us create some of our best products. International Eventer and Junior European medalist, Ben works closely with Grubs as part of our product testing team. Based in Lancashire, Rachael is an up and coming young rider having trained with Ben Hobday and Andrew Hefferman. Three Star rider Lissa comes from a family entwined in Eventing legend, not to be outdone she is a determined and focused rider who is a vocal part of our Equestrian product team. A professional two star eventer based in Essex. Claire produces he own young event horses and retrains ex-racehorses. Her bubbly personality shines through her social media. Young farmers are the future of agriculture we are proud to support them. Supported and kitted out as part of our Olympic tradition of sporting footwear, we keep De Montfort warm and dry, in and out of the water. We support Galloway Mountain rescue and supply them with boots to beat the worst weather. 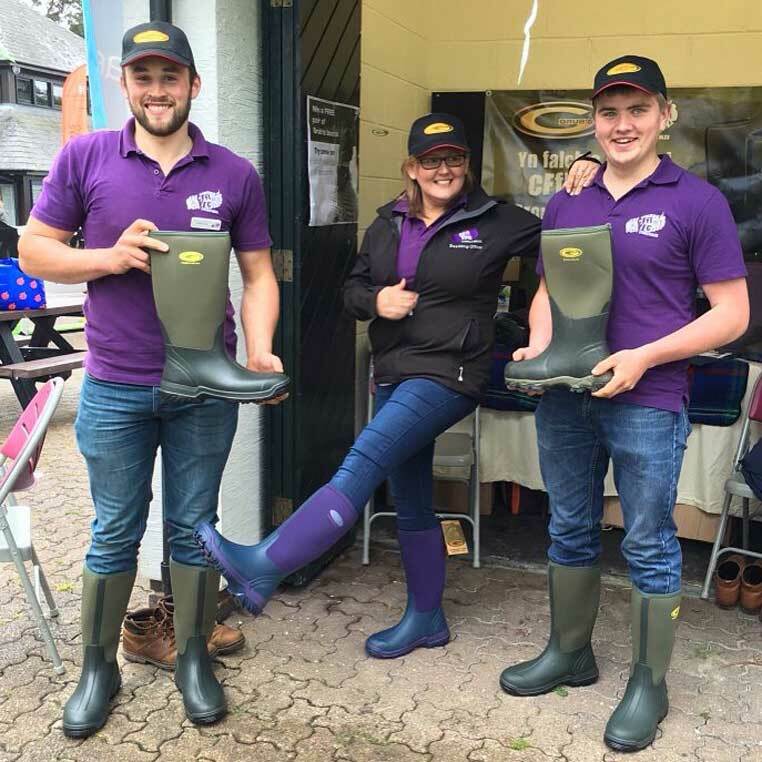 We think that buying a new pair of boots is a very serious business and we love that you're thinking about investing in some new GRUBS®. So we've pulled together some of the most common questions our customers ask, in one handy list. +44 (0)1204 567 700 - We'd love to hear from you! + What makes GRUBS® boots so great? It's all in the design. All GRUBS® boots are 100% waterproof keeping feet warm, dry, and protected in harsh weather and messy working conditions. The secret – our exclusive self-insulating waterproof Insu-foam Ultra™ shell construction. The Insu-foam Ultra™ bootie material acts as a “neutral medium” between inside and outside temperatures. Naturally lightweight, buoyant, and very comfortable, the material keeps the foot and lower leg warm and protected in cold and wet conditions. Natural rubber overlays act as a protective skin for the upper bootie. The upper has a triple reinforced toe area and a quadruple reinforced heel area. The outsole is made of high abrasion natural rubber. The rubber in the boots will stay flexible for years. + How are GRUBS® boots sized? Standard U.K. sizes for men and women (unisex sizing). Boots and shoes are available in whole sizes only, but will stretch to fit half sizes. There is a 15mm toe allowance built into the sizing. + Do GRUBS® boots fit wide widths? Yes. Our boots are made to standard widths, but the materials will stretch comfortably to fit widths up to a EEEE. For narrow feet, we suggest wearing a thicker sock or putting in an additional footbed to take up room. + Are the collars & calfs stiff? No. The upper calf and topline areas are made of soft, flexible Insu-foam Ultra™ foam and will "stretch-fit" to virtually any calf girth. With the flexible upper, the pant leg can be worn over or inside the boot. The collar material can be turned down to allow hands-free removal and vent humidity in warmer working conditions. + Will I need to wear thick socks? It isn’t necessary unless activities are planned for extreme cold conditions. The Insu-foam Ultra™ foam bootie material is rated sub-zero during active use and will effectively withstand freezing temperatures for up to one hour. Medium-weight athletic socks should provide the best fit. The upper will stretch to accommodate thicker socks. + How does Insu-foam Ultra compare or rate against thinsulate and/or Gore-Tex? Thinsulate, made by 3M Corporation, is typically used in work boots and hiking shoes to resist cold temperatures. Thinsulate is typically laminated to the whole shoe lining or glued into the toe area of a shoe or boot. It is not a waterproof material. Gore-Tex is a breathable, waterproof membrane but is not an insulating material. The Insu-foam Ultra#8482; foam used in GRUBS® is both waterproof and self-insulating. Our materials exceed the long-term effectiveness of waterproof membrane materials and provide greater insulating properties than all non-specialty temperature-control substrates. + Will GRUBS® boots allow my feet to breath? Unlike many pac boots, GRUBS® do not have an inner felt liner. Felt liners are very hot and can cause skin irritation with prolonged use. One of the most important and revolutionary features of GRUBS® footwear is the structured, breathable Superdri™ lining used in some of our products. Superdri™ is made up of thousands of tiny vertical fibers that allow air to circulate throughout the interior lining surfaces. Excess humidity and perspiration that might build up in the boot are quickly wicked away. This creates a comfortable environment for your feet that lasts for extended periods of use. + How should I care for and clean GRUBS® boots? + Can the rubber be repaired if punctured? Yes. The natural rubber can be repaired with sealant found in local hardware stores. We recommend Goop® brand marine sealant. First, clean the punctured area thoroughly with mineral spirits. Then, apply the sealant over affected area and wipe to a thin film. The sealant should air dry for at least 24 hours. Didn't find your answers above? Then drop us an email at sales@grubsboot.com or call us on +44 (0)1204 567 700.